Image was originally uploaden on en.wiki by user:John Hill. His description was:"This image is taken from the book "Results of a scientific mission to India and high Asia - Atlas Part II." 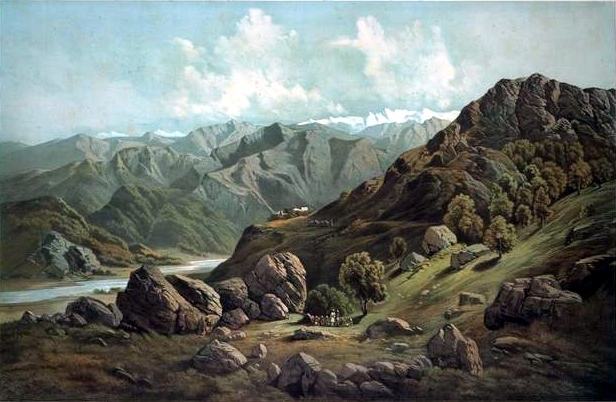 By Hermann, Albert and Robert von Schlagintweit-Sakünlünski, on an expedition made between the years 1854 and 1867, and published in 1861. So the book is well out of copyright. John Hill"
В предоставленных данных не хватает информации об авторстве.